Yup. 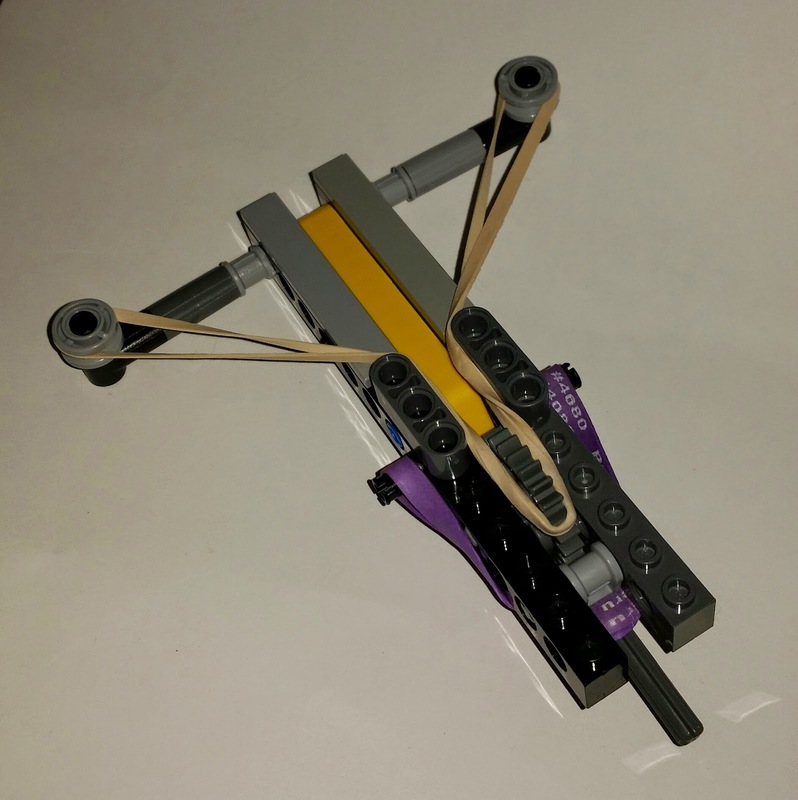 I built the Dude a real, working, palm-sized Lego crossbow. And it's awesome. The majority of the pieces come from our Lego MindStorms (aka Robotics) collection, which was nice because since we built the Rubik's Cube robot, those pieces have been wonderfully sorted in a tackle box. I did have to rethink a few components to work with the pieces we have, but it was still an incredibly quick build: probably 30 minutes, total.